Vanessa’s practice is focused on tax, estate planning, closely-held business matters, and non-profit law. Vanessa represents taxpayers in federal and state audits and appeals, presenting the client’s position to achieve a favorable outcome. Her expertise covers the full range of tax issues businesses face, including reporting requirements, tax treatment of fringe benefits, worker classification, and compliance with Section 409A. Vanessa also prepares voluntary disclosures for individuals with unreported foreign accounts. 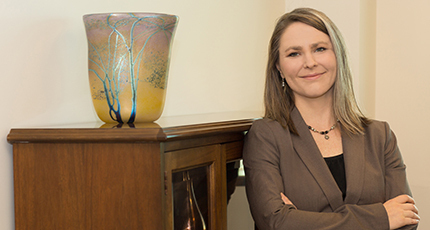 In her estate planning practice, Vanessa knows there is no one-size-fits-all estate plan. She listens closely and tailors each plan to meet her client’s needs—whether it’s a simple will or trust or a more complex strategy incorporating a special needs trust, irrevocable life insurance trust, or intentionally defective grantor trust. Vanessa also works with clients to probate estates or administer trusts after the death of a loved one, making the process less burdensome during a difficult time. Vanessa also provides a variety of services for closely-held companies and family businesses. In addition to preparing the basic formation and governing documents, she advises clients on which entity form they should choose and how to structure ownership and control to achieve their specific goals. Vanessa enjoys designing succession plans for closely-held companies and finds ways to address the needs of both the business and individual family members as ownership and control are transferred to the next generation. She also counsels clients on stock incentive plans featuring incentive stock options, nonstatutory stock options, and stock appreciation rights. For her nonprofit clients, Vanessa helps various charitable and educational organizations navigate the requirements of the Internal Revenue Code. When an organization is just getting started, she prepares formation documents and the application for tax-exemption. Vanessa advises on the appropriate tax-exempt classification and whether certain activities might jeopardize tax-exempt status or generate unrelated business taxable income. If an organization’s tax-exempt status has been revoked, Vanessa can help get the entity back into compliance and seek reinstatement.